Tom Curvin, co-leader of the Eversheds Sutherland (US) Litigation group, defends property and casualty, life and health insurers in class action, coverage, and extra-contractual litigation in state and federal courts across the U.S. 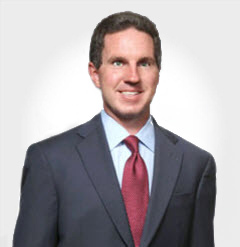 In recent years, Tom has defended insurance class actions involving homeowners insurance, premiums, claims practices, and coverage questions, commercial general liability coverages, automobile claims handling and coverage questions, medical payments coverages, catastrophe claims, and reinsurance, among other topics. In that capacity, Tom also has served as national coordinating counsel in mass tort litigation implicating various property and casualty insurance products. Outside the class action area, Tom represents insurers in bad faith and coverage litigation and counseling. Read Tom Curvin’s full bio here.